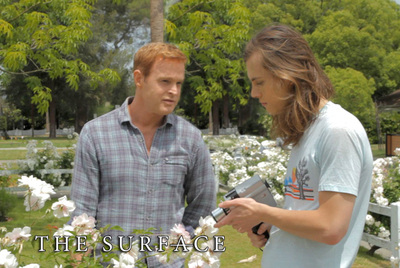 I always look forward to film by Michael Saul and he always lets me know when he has something new so I was surprised when “The Surface” came out. I knew it was coming because I am on the film’s Facebook page but I guess I was not paying attention. Nevertheless, I have seen the film and it is exceptional. 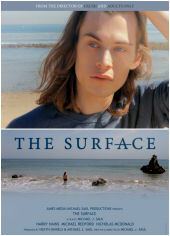 “The Surface” is the story of Evan Jones (Harry Hains), an orphan who moved from foster home to foster home as a kid. We meet him now as a college student who lives with Chris (Nicholas McDonald), his boyfriend but their relationship suffers because of social and economic differences. However, even with these, the two love each other very much. Once while at a yard sale, Evan found an old 8mm movie camera and the man whose it had once belonged to offers to teach Evan how to use it if he returns a week later and when he does, Evan meets Peter (Michael Redford Carney), the old man’s 43 year old son. At that point Peter gives Evan some reels of old movies that were made with the camera and as he watches them, Evan is touched by what he sees. Peter, as a young boy, is in the films along with his young friend, Mark. It is almost like watching two youngsters flirting with other but in a totally pure way. 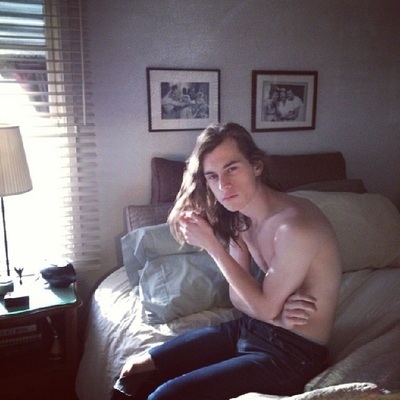 However for Evan, something is happening and he begins to live like what he sees in the films. He feels the genuine friendship that the two young boys share and Evan begins to question his own relationship as well as his place in the world. Soon his friendship with Peter becomes quite romantic as his relationship with Chris falls apart. Peter and Evan seem to be on equal footing despite the differences in their ages. Evan’s childhood obviously caused him pain; when we meet him he has still not found himself although sexuality is not part of the situation. He knows he is gay and that is not a problem. He is in love with two men and being gay does not cause him any problems. Chris knows that their relationship is ending but he does not want it to be. Evan feels that Peter, an obvious father-like figure, can give him the love her wants and needs because Peter knows what love is and understands its value. It is the characters that propel the film forward and it is a pleasure to watch them as they navigate life and the issues of family, love and friendship. There is quite a strong message here and it is clothed in reality yet very simple—we are not to assume that life is good and neither or we to take it for granted. This is a lyrical and, as I said before (but want to emphasize) personal film that makes us feel good as well as causes us to think about how we live. It is also a bit different that what we have come to expect from director Michael Saul and I am willing to bet that this is so because there is a good bit of him in the film. 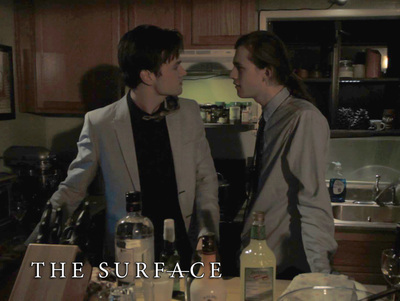 Married couple Daniel and Richard Mansfield wrote, directed and produced “Drink Me”, a film that tells us what happens when a stranger appears and enter the life of James (Emmett Friel) and Andy (Darren Munn). James and Andy are a couple who seem to have everything suddenly face a big change in their lives. When Andy loses his job and money is scarce, they take in a stranger named Sebastian (Chris Ellis Stanton). 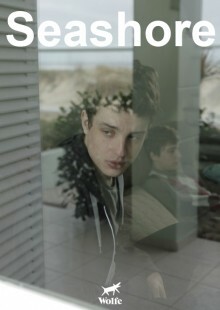 Andy suspects that Sebastian has a dark secret and soon realizes that his suspicions are true. Sebastian is the killer who has been stalking the neighborhood and is a vampire. 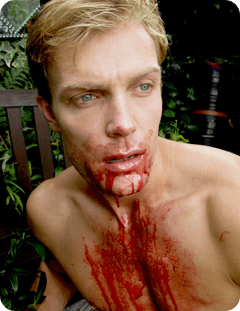 I thought now that “True Blood” is off the air; vampires had outlived their time (but then vampires are eternal). Citrin, Rabbi Paul (editor). 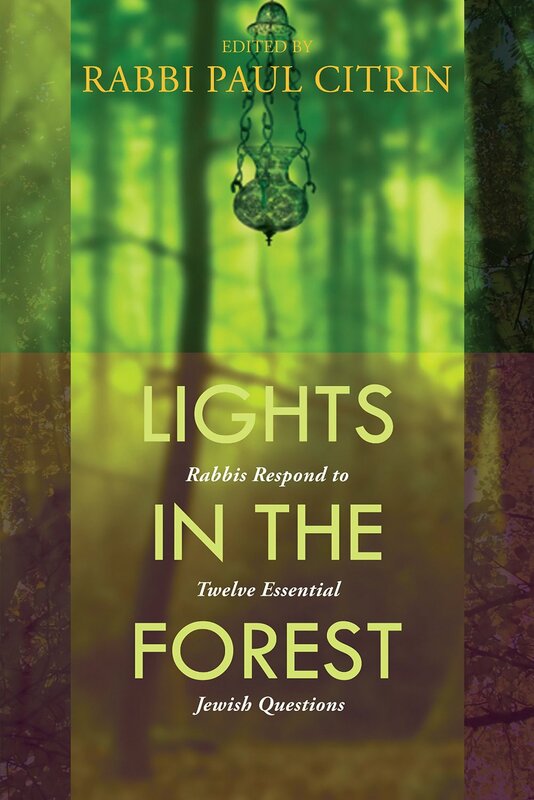 “Lights in the Forest: Rabbis Respond to Twelve Essential Jewish Questions”, CCAR Press, 2015. Before I begin my review, I must state that my rabbi has an article in this collection and that is how I got to this book. With that said, “Lights in the Forest” is a collection of essays that deal with three major topics– (1) On God, (2) On Our Humanity, (3) On the Jewish People. Each of these has four questions that the rabbis included attempt to answer. Those answers are written in personal and thoughtful essays that include thoughts about God, ethics, humanity, suffering, evil, the soul, after-life, interfaith dialogue, and more. I understand that the intention of the authors was to find a way to “expand the knowledge and understanding of the readers in Jewish life, practice, and identity.” The essays are in many cases provocative and evocative and they open the door so that the reader can walk in and then continue on a journey of further study which, in turn, leads to even more questions. The more time I spend with other Jews including those at my temple in Brookline, Massachusetts, I find myself thinking about what Jewish faith is. In fact, it is safe to say that I have always wondered what it is as well as what is my relationship with God and if it is possible that it has changed over the years. I find that the more I age, the more I think about both of these concepts. In the introduction Rabbi Paul Citrin spends some time looking at faith and he tells us that faith is the product of a “searching heart” that is open and yearning. For me, as Rabbi Citrin states, faith is a very personal part of my being and yet I am not sure where this drive for faith emanates from. I want my religion, my Judaism, to guide and to bring me to study. Thirty-nine rabbis write about the three topical issues and they do so from the personal point of view and the book is smartly made up of male and female rabbis, academics and pulpit rabbis and who are rabbis that were ordained over the same 39-year period so that we have discussions from two generations. The idea of light in the title is a wonderful metaphorical way of shining light into our minds—all of us have some kind of darkness within and the way to bring it out is to shine light on it. By and large, the essays are well written but of course with so many writings we cannot expect them all to be perfect. I do find the way the book is organized to be something of a problem and I would have loved to see the rabbis’ names and page numbers in the table of contents. But that is a minor quibble. I got my copy of the book this morning and read all day (until I finished it and this is not something I recommend). I believe that the book is to be spoken about after the reader finds himself deep in thought about what he has read. I read it the way I did because I am in a class at my temple that is using this book and so I will the chance to reacquaint myself with the topics that I seem to have rushed through. The twelve questions contained here are wonderful for provoking thought and I want to share just a few with you: “What is your concept of God, and how has your view changed through your life? What is God’s relationship to suffering and evil? What does it mean to be created in the divine image? What is a Jewish definition of “being religious” or “having faith”? I am not saying that you will find answers to these questions but I do believe that you will start thinking about them (and the others) more intensely than ever before. As a reviewer and as a reader, I tend to gravitate toward books that make me think and I can tell you that I have been thinking about some of these questions all day and will do so on the days to come. This entry was posted in Judaica on February 28, 2015 by Amos. Morris, South Carolina is the setting for James Driggers short story collection that spans the years from the 1930s to today. Morris is a town of all kinds of people that include eccentrics, weirdos, loveable old ladies and they are rich and poor, middle class, black and white, smart and dumb and likeable buffoons. You do not have to live in the South to understand these stories because towns everywhere are just like Morris with the exception that it is the South. The mentality and the heat are different than in most places. Somehow, everyone coexists. They share the ideas of “grappling with desire, ambition, hope, and loneliness” among others. The landscape of Morris includes farms, trailers and “genteel homes” that hearken back to the South that once was. It is hard not to see that there is an undercurrent between the poor and the rich and some of the characters have had to reinvent and rediscover themselves in order to fit into society. As a man from the South, I can tell you that fitting in is the utmost priority. There are those who use others as stepping-stones to get to where they want. The upper class is holy to those who are in and a goal to those who are not. We must remember that in the South the only way to become part of the aristocracy is to be born into it. Those who have the wealth but the family are doomed to be part of the nouveau riche. The states where this is really prominent are South Carolina (Charleston), Georgia (Savannah) and Louisiana (New Orleans). The way the “elite” regards themselves and others is something unique in the South. They also have, as we see here, a unique attitude towards those who societal place is determined by skin color and the lack of “good” family. I once thought to myself how wonderful it must be to be a member of the upper class until I got to know one debutante whose family had a name but no wealth. They had to mortgage the family home that been so for generations in order to pay for the gowns that the daughter needed in order “to come out” to the other members of the upper class. (She had been “out” to me for years). In one of the stories we see the toxicity of sibling rivalry as well as how the parents seem to care more about societal standing than owing money to everyone in town. But hey, everyone needs to show everyone else just who he or she is. Eroticism exists in southern life but it is not spoken about aloud (if at all). You will recognize Driggers’ own version of Tennessee Williams’ Blanche Dubois, a woman who falls victim to her own sexual desires. The stories here are dark and not always nice but they are a great read. 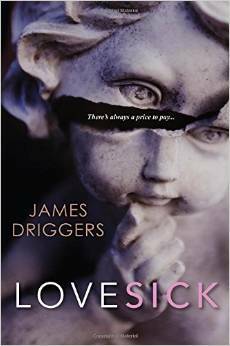 Driggers writes with wit and great insight as he explores love and I believe we have a new author to add to the Southern Gothic canon. This entry was posted in GLBT fiction on February 28, 2015 by Amos. War veteran Nick Boxer returns home but with PTSD that is plaguing him. To make things even worse, he discovers that his girlfriend, Kayla, has committed suicide and upon learning this, he decides to commit suicide. In his moments before resuscitated he has flashbacks that lead him to think that Kayla did not take her own life but was murdered and now Nick must move back and forth between this world and the other of afterlife to search for the murderer. In order to do this, he has to die over and over again. This means that he will have to stop and restart his heart. Shawn Holmes, an Afghan War veteran, wrote this with his friend Hari Sathappan and he says that it is a combination of a lot of stuff that we have written from way back then to the middle of college. “We just kind of combined everything we had and it turned out to be this,” said Holmes. 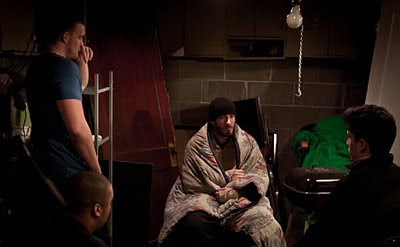 His two roommates Zac Snyder and Michael Guy Allen, who is an Afghan War vet like his character, star in the movie. When it was finished, the film was shown by the West Virginia Filmmakers Guild and Holmes was the youngest nominee ever for WV Filmmaker of the Year. Holmes then released “Memory Lane” online for one weekend and reached 22 thousand hits including the Wall Street Journal and Yahoo which helped build buzz and land Holmes in Hollywood where he’s currently working on various high level projects. The film was made for just $300. When Nick (Michael Guy Allen) came home, he had trouble shaking the battlefield, and he’s lost amongst the day-to-day normalcy of life. Then he met Kayla (Meg Barrick) one evening and the two connected and their relationship progressed rapidly as Nick bought her a house and prepared to propose to her. However, along came tragedy and Kayla, it is thought; committed suicide while Nick was away picking out the engagement ring. The loss hit him very hard and the decided to join Kayla and attempted suicide by dropping a radio into the bathtub with him. He did not die but the shock of near death helped him re-live his memories spent with Kayla. It was then that he noticed something different and began to think that Kayla may not have committed suicide, but was murdered. Unfortunately his insight ended when he returned from his near death state. 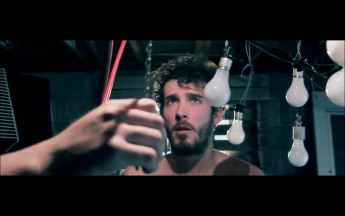 He came up with an idea to create a mechanism that would allow him to electrocute himself just enough to bring on the memories. He would then have his friends revive him before it was too late to do so. We see immediately that the story is the most important aspect of the film and while it is far from perfect, there is enough other good points about the film to allow us, by and large, to ignore its faults. On the plus side also is the way the film looks with its excellent cinematography and some outstanding camera work. 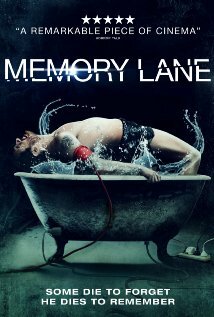 “Memory Lane” is one of the most impressive indie films I’ve seen lately. It’s compelling, entertaining and visually exciting. For a movie that cost so little to make, “Memory Lane” is fascinating. It is so refreshing to watch an independent movie that’s not about zombies or serial killers not afraid to have a little ambition. The story is gripping, intelligent and full of heart and is positive truth that money does not mean everything. Eleven-year-old Oat is facing an uncertain future. His parents have both died and his brother who has been raising him has to submit to the military draft lottery in Thailand. He has no luck trying to convince his brother what to do and so he takes matters into his own hands and this has some unexpected results. Set in the poorer sections of Bangkok, the film is based on stories by Rattawut Lapcharoensap, and it looks at the joys and challenges of coming of age in the Thailand of today and is directed by Josh Kim (his first film). In the poor areas of Bangkok, people grow old quickly—they have to cope with a great deal and this brings maturity on early. With the deaths of their parents Oat, his little sister and his older brother Ek move in with their aunt. Ek works in a bar for male prostitutes and transvestites. He is involved in a relationship with Jai, the son of rich parents, and they have been “together” since they studied in the same school. However, their love is uneven and this is tested when the time for the draft comes up for Ek. The draft is a lottery that decides who must do military service and who can stay at home. Young Oat steals money from the local mafia boss so that he can buy their his brother’s way out of the army but things do not go as he planned. His actions have dramatic consequences. 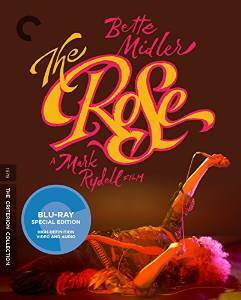 Oat narrates the story and the film is a refreshingly unadorned and impartial look at a loving environment where social conditions are governed by venality, corruption and false ideals. 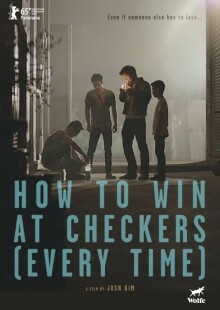 The film takes a hard look at a corrupt and financially ravaged Thailand through the eyes of Oat (Toni Rakkaen). Oat’s is close to his older brother Ek (Thirka Chutikul) and his boyfriend Jai (Arthur Navarat). It looks at a lot of topics including gay and transgender life and government corruption. We see that unlike in the West, perhaps Thai attitudes to non-heterosexual relationships are not taken up in moral and political debate. However, we see things only on the surface as if the film is reluctant to go any deeper. We do see the problems that are faced in attempting to make a living and that this is a cause for people going to the black market and into crime and prostitution. Whether this works are not is not explored. What we do see is the Thai preoccupation with luck but just briefly. Oat’s aunt is superstitious and while this is hinted at, we realize that it is the military lottery that is the center of the story. It changes the dynamics of the characters. Sacrifice and the importance of country, religion and family are really played down and this seems to be in contrast to what I have read about the country. Director Kim’s eye is sharp and there are some very interesting cinematography but because there is a lack of humor and dialogue, everything seems to move slowly. This lack of dialogue also prevents a good deal of understanding. Any tension that there is evaporates and what good have been a great film is actually just a good one. Martin (Mateus Almada) and Tomaz (Mauricio Jose Barcellos) have been friends for years and they are now on the verge of becoming adults. Martin goes to Brazil because his father wanted him there to deal with something to do with inheritance. Tomaz goes with him and for both of them the trip becomes a journey. They are near the sea but there is something else pulling at them—their attraction for each other. The film is by the duo of Filipe Matzembacher and Marcio Reolon’s and it is an atmospheric autobiographical look at their lives. The weekend the two boys spend in Brazil changes their friendship forever and we shift from friend to lover as the two explore sexuality and personal identity. The camera work is gorgeous as it emphasizes the complexities of the emotional states of our two main characters. The soundtrack also picks up and the lows and the joys and the fears of Tomaz and Martin. This is a magical film that is sensitive and tender and all about looking for love and then finding it right in front of one’s eyes. Matzembacher and Reolon use too many close-ups and the camera tends to stay too long on the faces of the characters. We see that has problems with his father and Tomaz tries to help make peace between father and son. While the two soon to be young men are in a sparse place, they start to make tentative steps towards resolving the issues that they both have and thereby let us into their lives. Every once in a while, the youthful pair have a suggestive conversation about friendship that is real and borders on a relationship. At one point when tensions have boiled over, they sit drinking beer and talking in an awkward masculine way. We see family tensions and sexual awakening mixed with youthful misbehavior happening. Random conversations about the beach drift into tales of family trauma while sexuality is thrust repeatedly into the open, often from nowhere. This becomes a bigger problem with the decision to underplay everything. The camera hovers almost close enough to touch and Martin and Tomaz do not seem to know how to react. They are unable to conjure up a sense that any of this actually matters to them, never mind leave the impression growth has somehow been achieved along the way. It’s a confusing time for the young men and questions come up for the first time— personal questions that may have never been explored as everyone endeavors to fit in with the social norm. These themes of innocence and personal identity are evident throughout “Seashore”. This is a very exciting and raw coming-of-age story. Both of main characters’ share long contemplative gazes that are clever focal points through which the viewer can identify with the themes. Cinematographer João Gabriel de Queiroz is unrelenting in capturing each element of the characters’ developing identities. What the film really shows us tenderly and with sensitivity is the emotion of a certain age when love, sexuality and personal identity are new to Martin and Tomaz and we cannot help but remember how it was with our own lives.